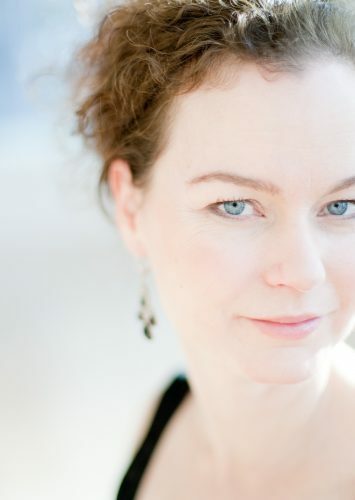 Soprano Rosalind Beale-Dala holds degrees and diplomas from the University of Victoria and the Victoria Conservatory of Music/Camosun College where she studied with renowned voice teacher Selena James. She has also studied at the Banff Centre for the Arts, McGill University and Britten-Pears School for Advanced Musical studies in Aldeburgh, England. Rosalind has performed across Canada in recitals, operas, workshops, on CBC and CJRT radio stations. Roles include Rose in Kurt Weill’s Street Scene, Miss Wordsworth in Albert Herring, and Le Feu from L’Enfant and Les Sortileges by Maurice Ravel. As a passionate enthusiast of contemporary music, she has premiered works by a number of Canadian composers including Chris Paul Harman, Owen Underhill, D Andrew Stewart, Cameron Wilson and Derek Charke. She was also a founding member of Current Sound Opera(tions) and of Hear Me Out! (Music Society), as well as an active member of The Little Chamber Music Series that Could Society. all dedicated to the performance and development of contemporary music. Highlight performances include: the World premiere of Playground Rhymes for Grownups, a song cycle by composer Cameron Wilson and writer Bill Richardson; soloist in Ancient Voices for Children by George Crumb and soloist in The Hums and Song of Winnie the Pooh by Oliver Knussen whom she had the privilege of working with at the Britten Pears School. Other performances include the Vancouver premiere of Miss Donnithorne’s Maggot by Peter Maxwell Davies and also the world premiere of The Sea and the Bells by Cameron Wilson, a song cycle for voice and orchestra dedicated to the memory of Wallace Leung; workshop performances in Zurich, Switzerland of Deep Structure, a one woman show with voice and electronics by Swiss composer Knut Remond and a concert tour of Pierrot Lunaire with the Schoenberg Legacy Ensemble in and around Zurich, Switzerland. Recently, Rosalind has enjoyed performing throughout the Lower Mainland a one woman show which highlights her piano skills and singing ability with a variety of musical theatre, pop, jazz and classical music. As a passionate educator, she has extensive experience teaching a variety of ages and levels in singing and loves to explore a multitude of genres including musical theatre and pop/rock/jazz music of all ages and levels. In regards to piano teaching, she has years of experience specializing in working with beginners of all ages. Rosalind is the proud mother of two sons, Christopher and Andreas and wife of conductor Leslie Dala.